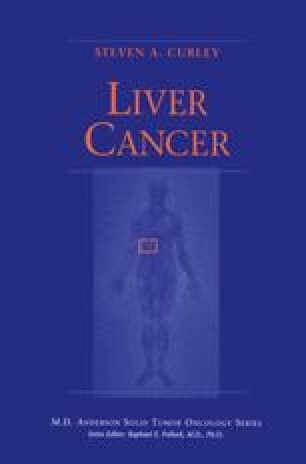 Hepatocellular carcinoma (HCC) is one of the most common malignancies in the world, with approximately one million new cases recorded annually.1 At present, only complete surgical resection has the potential for producing a cure, and then only in a small subset of patients. Other modalities, such as radiotherapy, chemotherapy, or bioimmunotherapy, have produced response in a few patients, but it is clear that most patients derive little or no benefit from the application of such treatments. Virtually all antineoplastic therapies are associated with substantial toxicities due to the often unacceptable adverse effects on normal tissues. As a result, most patients either receive ineffective therapy, or are unable to tolerate therapy that could potentially eradicate their neoplasm. This situation justifies the evaluation of novel modalities.